Mexico City (AFP) - Authorities appealed for help among Mexico's population Thursday to locate stolen radioactive material, as the fourth such theft in less than two years prompted officials to mull new security measures. The interior ministry issued an alert in five southern and eastern states late Wednesday, two days after a toolbox-sized container carrying the Iridium-192 source was snatched from a truck in a residential parking lot in Cardenas, Tabasco state. Officials suspect that, like in three other cases since 2013, the thieves were not aware that they were stealing a potentially deadly radioactive source. "Each time that one of these units have disappeared from the hands of companies in charge of them, we have recovered them with the help of the population," Luis Felipe Puente, the national civil protection coordinator, told Milenio television. Puente urged ordinary Mexicans to notify the authorities right away if they find the material, which is used for industrial radiography to check welding seams, and stay away from it. 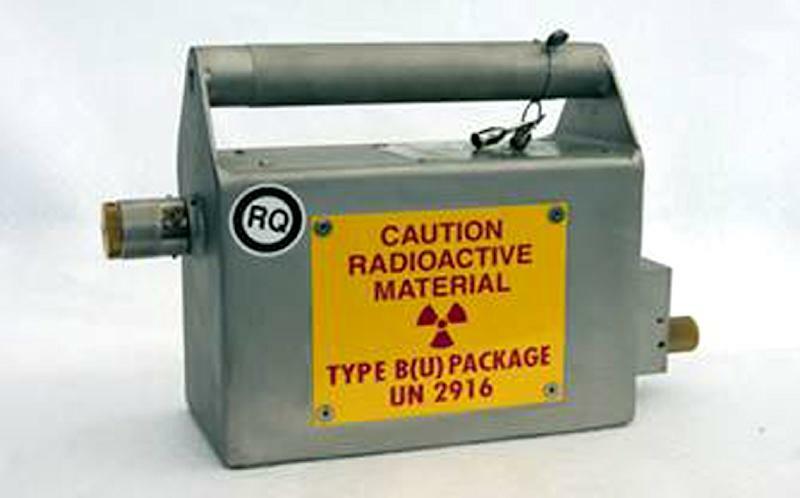 The metallic 50-by-30 centimeter container has a tri-foil radiation symbol printed in red on a yellow plate with the warning "caution radioactive material." The manmade radioactive element can cause burns, radiation sickness and permanent injuries if somebody comes in contact with it for minutes or hours. It is fatal if exposure lasts hours or days. The theft was reported by the company Garantia Radiografica e Ingenieria on Monday. An official at Mexico's National Nuclear Security and Safety Commission told AFP that the container was among other things that were snatched from inside the truck, which was in a residential parking lot late at night. The thieves left the vehicle and stole a second truck, said Christian Romero, the commission's deputy director for radiological emergencies. "Thieves are not realizing what they're stealing," Romero said, referring to past similar cases. He stressed that special tools are needed to open the box. "As long as it remains inside the container, there is no risk at all to anybody," Romero said, adding that the source is two centimeters long and half a centimeter wide. Asked why there is no requirement for private or government security to accompany such material, Romero said it is not considered dangerous enough as long as it is inside its container. Romero added that it would be too expensive for companies to provide security for such commonly used material across the country. But, he added, "we are looking for a way to put more restrictions on the requirements for people requesting to have this type of source." Security forces do accompany more dangerous radioactive substances when they need to be transported, he said. In December 2013, thieves took a truck containing a cancer-treating medical device with highly radioactive cobalt-60 near Mexico City. Authorities arrested and hospitalized five suspects in that case after recovering the potentially lethal material, which the thieves intended to sell as scrap metal. They all survived. That theft prompted the International Atomic Energy Agency to issue an alert for "extremely dangerous" material while US officials kept tabs on the situation. More recently, in February, authorities recovered in central Mexico three stolen trucks transporting radioactive material for industrial use.